PRIVACY!! STUNNING VIEWS!!! PEACE AND QUIET!! Come home to the end of the road waterfront estate. Almost an acre of water vistas galore. 4 bedroom, 3 Bath home featuring a Carolina room, decks, patio, private dock and boat lift. The views are to be enjoyed from every room and every angle on this property. Must see!! SELLER SAYS "MAKE AN OFFER". Incredible views on this clear deep water property! Dock permits are in hand and this property is ready to build on. Located on Cat Island only minutes away from downtown. If you are looking for a place to build your dream home, this is a must see! Classic Coosaw Point home w high ceilings, hardwood floors, long wrap around screened veranda overlooking the duck pond, & many other interesting architectural features. In the detached garage the stalls are separated by a structural wall. One stall has been converted to a workout room/office w hardwood floor & separate air conditioning. The second level of the garage is a one bedroom efficiency, with separate electric service. Coosaw Point offers numerous amenities; a floating day dock and boat launch, walking trails, 130 acres of undeveloped green space, tennis courts, and a gorgeous club house and pool. Don't miss this lovely property. Custom built Gallant home in desirable Coosaw Point. Neighborhood pool river front club house, tennis and community dock with boat launch compliment the neighborhood. Located near schools, shopping and a short drive to downtown Historic Beaufort. The main house includes 3 bdrms and 2 1/2 bths with 10 foot ceilings on the first floor. The open kitchen dining area with quartz countertops opens to one of two large screened porches for additional living space. Newly refinished pine hard wood floors, gas fireplace and downstairs master. Mature, professionally designed landscaping with complete irrigation system and vapor barrier system. As you walk in the entrance of 3 St. James Place, you will notice wains coating & crown molding that give this home a beautiful finished look. Open floor plan is perfect for entertaining. Kitchen has upgraded 42" cabinets, stainless steel appliances & granite counter tops as well as a large pantry. The large Master Suite is located down stairs for easy access. Large bonus room is located upstairs w/enough space for a family room as well as a office or exercise area. A beautiful outside fireplace sits on a patio in the well manicured back yard, wood fired pizza anyone? This home is perfect for a busy family or anyone who loves to entertain. Great ROYAL PINES home on golf course! OVER 2700 SF! Home boast hardwood floors throughout main level. Formal dining as well as eat in kitchen, nicely equipped w/ corian counters and stainless steel appliances. Split plan affords maximum privacy - Family room w/ fireplace opens onto screened porch - great additional living space. Upstairs is almost another complete house - huge bonus room w/ built in shelving and tons of storage - full bath and giant sized guest room. Lots of extras - walk to the Country Club for dinner or a round of golf. Popular community w/ lots to offer. This is a ''must see'' schedule your tour today! Great opportunity to own a spacious 5-bedroom, 3-bath home on desirable Lady's Island! WhatGÇÖs not to love about the 9' ceilings, open floor plan, and a large fenced in backyard. New flooring installed throughout the first floor June 2018. MORE THAN ENOUGH STORAGE! This home is surrounded by mature pine trees and has only one neighbor bordering the property. You get your privacy while only being minutes from Sams Point Rd. No flood insurance required. Home is located approximately 20 minutes from MCAS Beaufort and 15 minutes from Parris Island Recruit Depot. Convenient to beaches, shopping, restaurants, and entertainment as well! Beautiful building lot on a quiet cul-du-sac. Deep water with a very short dock and boatlift in place. This is a 13 foot elevation. Somewhat limited access in part of the creek for larger boats but can be accessed not too long on either side of low tide. 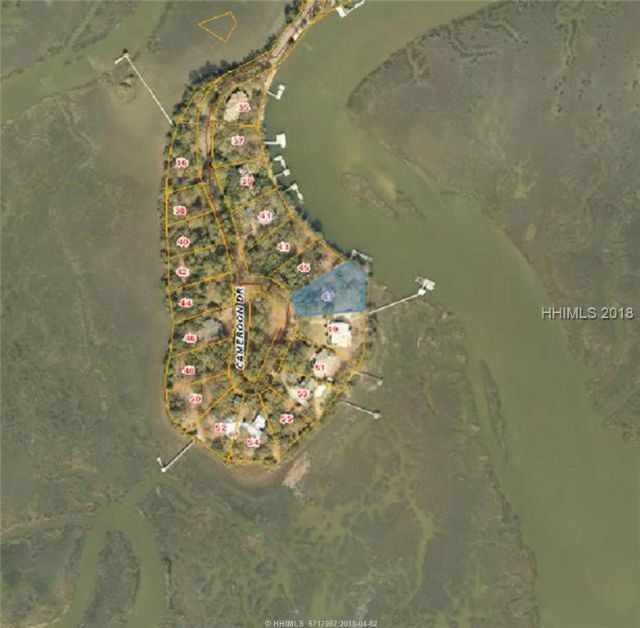 Only one of two lots left available on the deep water side of Cameroon Drive on the peninsula. 1.53 acre cleared lot w/ pond. Build your home to take advantage of the breathtaking deep water views of Lucy Creek. Walking distance to a public boat launch just off the ICW. Public water, electricity & septic system in place. No fees, No Restrictions. Plenty of room for boats, RVs, travel trailer, 4-wheelers, horses & toys. Coosaw/Judge Islands flank Morgan River to the SE and Coosaw River to the N. It's a sparsely populated sea island. Wildlife abounds on this unspoiled Island. Deer, Turkey, Egrets, Eagles, Wood Storks and more make this a nature loverGÇÖs dream. Hunting, fishing & boating to be had. Better than new, one owner home with custom upgrade. This place is Nice! Open kitchen, living and dining. Screen room with privacy and view of woods and pond. All on one floor. Granite, slate appliances and upgraded lighting. Master on one side, 2 bedrooms on other. Easy access to downtown, shopping, beach, bases and water. Available for quick move in. Come live the island life on beautiful Lady's Island. This very nice, well maintained home on a cul-du-sac has so much to offer. Screen porch overlooking large 1/2 ac lot with privacy fence. Large kitchen with separate dining area, living room with wood burning fireplace. Custom wood blinds throughout. Attached 2 car garage enters directly to kitchen for easy access. Come and view today. AWESOME NEW PRICE!! This two story offers three bedrooms, two full bath home and is situated in the heart of Lady's Island. Carolina room offers plenty of windows. Fenced yard and rear deck. The best site in Celadon. Across from the incredible Celadon Community Center. Easy access to Historic Beaufort and beaches. Great opportunity for a primer building site. RARE FIND!!! 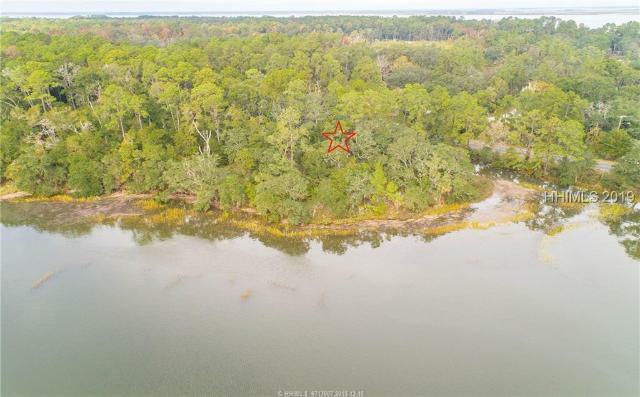 2 Parcels for a total of 7 +/- Acres on a Tidal Creek in Historic Beaufort, SC. 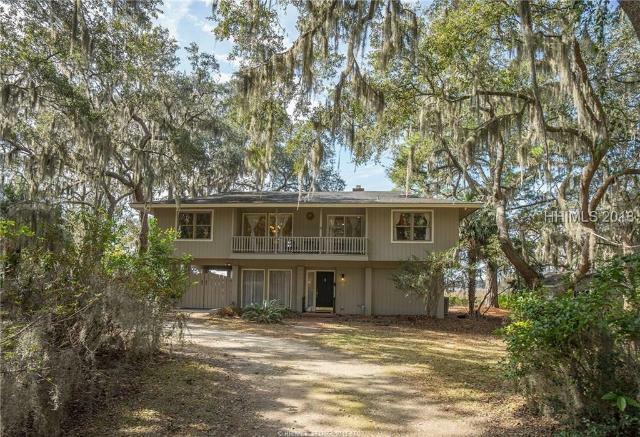 Here is your opportunity to own your own piece of the South Carolina Lowcountry complete with wildlife, sea breezes & breathtaking views. The privacy & tranquil living of this exclusive marsh front property is special. Enjoy all the amenities Beaufort has to offer, breathtaking natural beauty, world class golf, award winning dining & quality shopping. This unique property overlooks the Coosaw River. Property is Owned by a South Carolina Real Estate Agent.